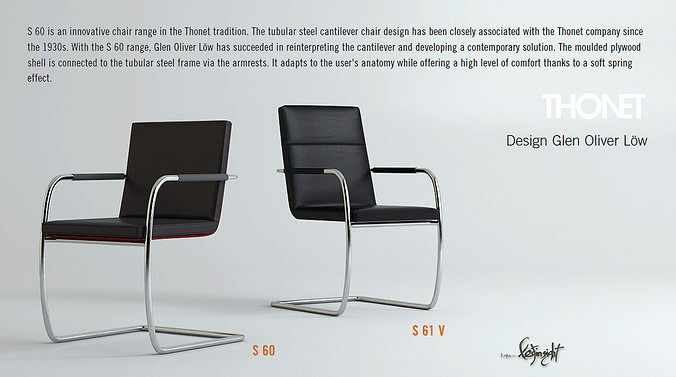 -What's inside: 2 High Quality 3D models of Thonet S60 and S60v and detailed enough for close up renders with HD maps. Height: 84 cm. / 94 cm. -Compatible with >>> 3dsmax 2009>> UP to current version’s and vray 1.5>> UP to current version.